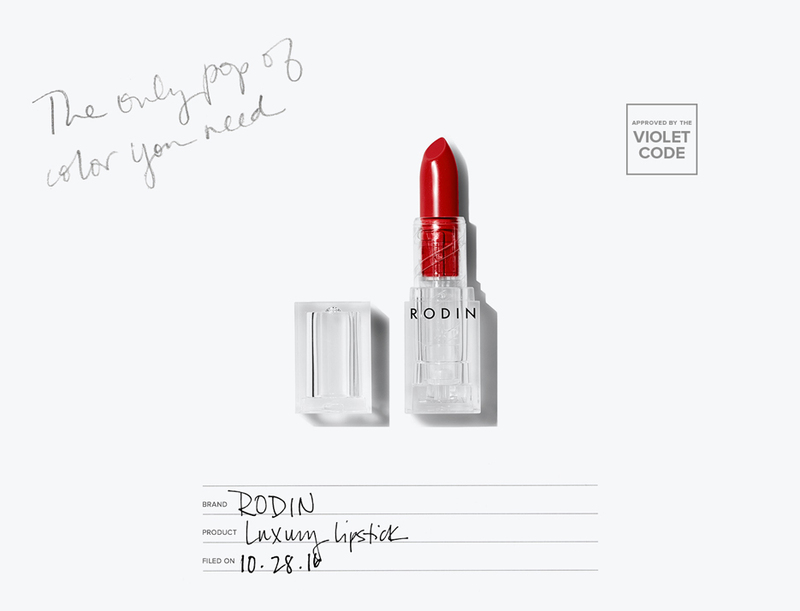 The highly pigmented matte lipstick created by ageless beauty mogul Linda Rodin. “I never go outside without lipstick,” says Linda Rodin, the preternaturally chic creator of skincare company Rodin Olio Lusso. “I mean, I walk the dog without it, but if I’m going anywhere else I just feel naked.” Rodin, flawless at 68, strongly believes that as women age, a full face of makeup just isn’t as flattering. Lipstick, however, is another matter—a slick of color negates the need for anything else. With this in mind, she decided to unveil a wardrobe of lipsticks that comprises colors she herself wears and loves. Each hydrating matte lip color contains Rodin’s signature jasmine neroli oil and was inspired by one of her idols. Red Hedy, for example, is a blue-toned red inspired by Hedy Lamarr, whom Rodin has always admired for her double career as Hollywood film star and inventor in the ’30s and ’40s. It’s an instant pick-me-up for your complexion—and your beauty bag. The VIOLET CODE is a process and set of standards by which VIOLET GREY’s committee of beauty industry experts and influencers separate hero products from the tens of thousands of options available to you on the market. The result is a curation that is truly the best in beauty from those who know best.